If you’re looking to cool down with a sweet treat, milkshakes will do the trick! A classic American tradition, you’ll find some of the very best milkshake varieties throughout Virginia. Whether you like yours traditional or prefer out-of-the-box flavors, one of the following 10 milkshake joints is sure to satiate your shake craving. Big Buns in Arlington, Virginia, is known for their award-winning, mouth-watering Designer Burgers, burger bowls, and, of course, their milkshakes. Hand-spun staples include chocolate, coffee, Nutella, Oreo cookie, peanut butter cup, salted caramel, strawberry, and vanilla options. Adults should give their “Boozy Shakes” a try, with concoctions like chocolate plus Baileys Irish Cream, Oreo cookie with Jameson Irish Whiskey, and more. Check back monthly for rotating milkshake specials. Since 1946, the Dairy Bar in Richmond, Virginia, has spun-up incredible sundaes, floats, cream sodas, and “Richmond’s Best Milkshake.” With 24 unique flavors including orange sherbet, chocolate banana, Dreamsicle, and pecan pralines n’ cream, you’ll always have a new reason to stop by the Dairy Bar. Whether you’re stopping in for breakfast, lunch, or a sweet snack, the Dairy Bar delivers old-timey charm with modern taste. Holy Cow in the Del Ray area of Alexandria, Virginia, not only has one of the top 25 best burgers in the greater Washington area as awarded by Washington Magazine, but also boasts delectable hand-spun, frosty shakes. Stop in for a burger, 25 cents of which goes directly to a local charity, and pair it with one of six shakes. Choose from their Chocolate! Chocolate!, Very Vanilla, Chocolate Heath Bar Crunch, Classic Oreo, Chocolate Marshmallow, or Salted Caramel. NN Burger, now with a second location in Tappahannock to go along with their original in Kilmarnock, Virginia, offers 20 “decadently-topped, hand-spun milkshakes” to wash down the “Best Burger in Virginia” (as voted on by readers of Virginia Living Magazine this year). Milkshake options change daily and may differ between locations. Milkshakes come topped with sealed candy, mounds of whipped cream, and, on occasion, cotton candy. Leesburg loves MELT, having voted it Loudon County’s Best Burger for six years running. 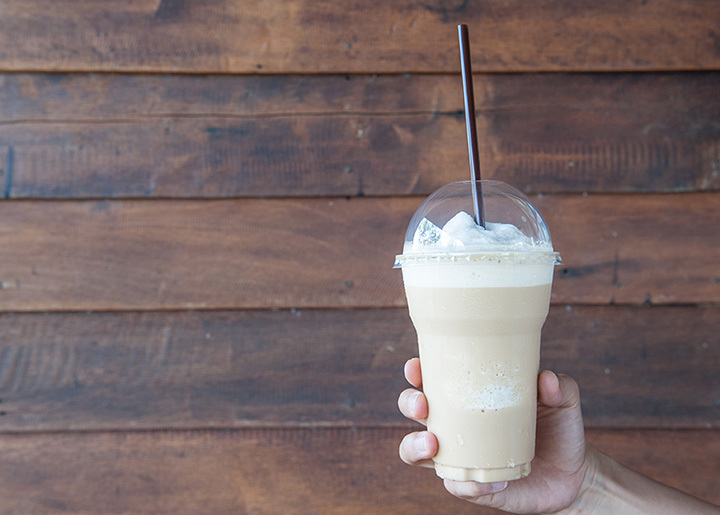 While the burgers are worth the trip alone, the milkshakes, malts, and floats are what make MELT stand out to us. Choose from twelve unique milkshakes with delicious renditions lie Girl Scout Thin Mint Cookies, “Black and White,” and Rich Smooth Mocha. Over 21? Go for the Stout Beer milkshake. The floats, too, come in the over 21 varieties, as well as the usual kind. Don’t forget to ask about the Shake of the Month. The number one ice cream shop in Fairfax is also the go-to place for milkshakes in the area. Stop by the Fairfax or Occoquan location, both open all year long (except Mondays) for handmade ice cream with zero artificial ingredients. All ice cream is gluten and egg free. Try any of twenty rotating flavors, including coconut chocolate crunch, pistachio, and butter brickle, along with a variety of delicious toppings. Doumars in Norfolk, Virginia, is a retro-style, drive-up diner. The founder, Abe Doumar, invented waffle cones at the St. Louis World’s Fair in 1904, and his restaurants have served ice cream, shakes, and barbecue ever since. The reasonably priced shakes are no-frills awesome, with flavors including vanilla, chocolate, strawberry, cherry, root beer, pineapple, banana, egg nog, lime freeze, and orange freeze. Check out a Norfolk classic and snack on one of the area’s best shakes. Pop’s Ice Cream and Soda Bar in Roanoke, Virginia, has become a Roanoke landmark for its vintage look, feel, and flavors. All soda pops are made from syrup and seltzer with cane sugar and mixed to order in a 1936 soda fountain. Their award-winning milkshakes are made with three scoops of Homestead Creamery ice cream and mixed with your choice of flavors and soda fountain syrups. For a slight upcharge, you can make it a malted (worth it). For over 25 years, the Bergey family has owned and operated Bergey’s Breadbasket, Bakery, and More! With a creamery on-site, new ice cream flavors are in constant preparation. Year-round flavors include vanilla, chocolate, and cookies and cream, but seasonal flavors go outside the box, with options like pumpkin and grape-nut. George Bowers Grocery in historic Staunton, Virginia, is no stranger to accolades. From national outlets like The New York Times and American Public Radio to local papers like The News-Leader, George Bowers has cultivated a reputation as a foodie-destination. The milkshake options range from the traditional vanilla, chocolate, and peanut-butter, to the unique cucumber and banana, along with carrot and cardamom. George Bowers guarantees a dining experience you won’t soon forget.